Nothing can ruin a party like a pool that suddenly needs repair. When emergency pool repairs or service are required, you want a company you can trust to respond quickly and fix the problem. With over two dozen GPS-tracked service vehicles in our fleet, we can redirect our trained technicians to your home or facility in a fraction of the time when compared to other pool service companies. Our 9700 sq. 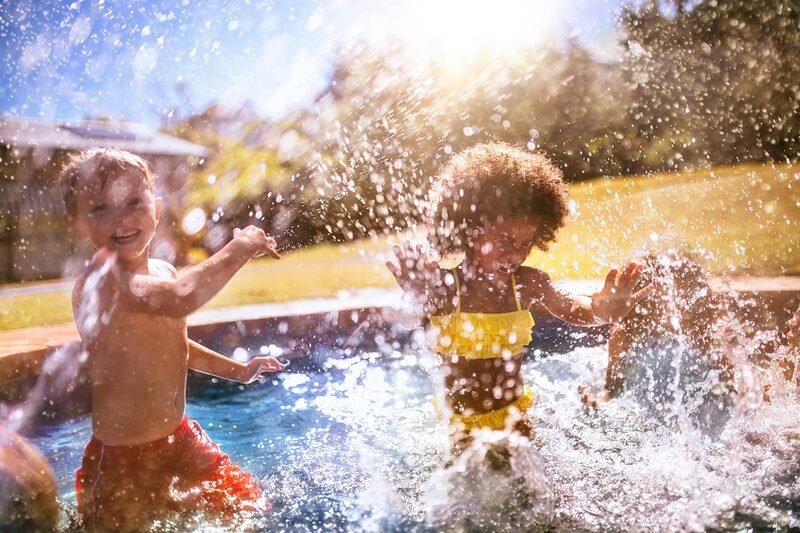 ft. warehouse stocks the highest quality pool chemicals, parts and supplies so that you are never inconvenienced by having to wait for replacement parts to be available. In an emergency repair situation, you’ll find peace of mind in knowing we have the experience to make the necessary repairs and the products and parts needed to get the job done right. Don’t wait for an emergency to happen. Contact PM Pool Service now to learn more about our emergency repair services. Call (908) 845-8200 or fill out our contact form.contact form. call 908.845.8200 or fill out our contact form. Either click the BBB link or fill out the contact form below! A pool expert from our team will contact you within one business day. We built a pool in May 2010, and since it’s opening, we have been working with PM Pools. Their indoctrination program is incredible. I was allowed to take pictures and notes, and they really spent time to help me understand the greatness our pool and required maintenance. We have used PM Pools every year thereafter for our opening/closing and weekly maintenance with the exception of last year. When we tried another company for the summer, we quickly learned the difference in knowledge, expertise, and delivery. We are glad to be continuing with PM Pools. We cannot thank Lisa Bruno, Todd, and the PM Pools team enough for helping us through any challenge and allowing us to have a beautiful, well-maintained pool to swim in year-after-year. PM Pool Service is the greatest! We have been so lucky to have PM Pools as our pool service (and everything else!) company since we put our pool in 14 years ago. They have stood by us, giving us professional and beautiful work every season. All of their staff is amazing, from Lisa Bruno in the office to all of the service technicians. They are smart, conscientious, and professional and pay attention to every little detail. I really do not know what I would do without PM Pools. I cannot say enough wonderful things about them all. I truly thank PM Pools for making having a pool such a pleasure and a totally painless experience! I have been a customer of PM Pool Svc for 4 years now and I couldn't be happier with the service. From weekly maintenance to pool openings and closings I have never had a problem. And when I have questions Lisa Bruno is always there to answer all my questions. She is a pleasure to deal with when it comes to all my pool needs. Over the last 14 years I have been living here in Florham Park, I have used PM Pool Service. During that time they have always been very friendly on the phone, prompt on their service calls, professional at all times, and amazing to work with overall. I am not saying that I have not had pool problems – don’t get me wrong. I have an old pool that I inherited when I bought my house. Over the years one thing or another has gone wrong and PM Pools has always been able to fix it at a fair price. Throughout this time I have had the pleasure to speak with Michael Christiana on several occasions due to some of the complexities with the work that had to be done. Michael has been fantastic to work with and has been one of the leading reasons why I continue to work with PM Pools year over year. From the time the company opens my pool to the time it closes – PM Pool has the same objective I do – keep the pool clean and clear with as little down time throughout the summer. PM Pool Service has been my pool company for more than 20 years. My pool water is always clear blue. They are reliable, dependable, friendly, and very easy to work with. They keep their employees for a long time. They make me seem special. When there is an emergency, they come to my house very fast. I highly recommend PM Pools. Just had major repair work done on my in ground pool and I couldn't be happier with the staff from PM Pool Service. My pool needed a new liner, filter and significant work on the underground lines. After researching and obtaining estimates from several companies, I finally settled on PM Pool Services because of the professional and accessible way they handled this process. I wasn't disappointed once the project started, as the professionalism continued to be in evidence. Mike Izzo kept in constant contact, letting me know how the work was progressing. He also was accessible to answer any questions in a timely manner. Todd and his crew were hard-working and polite as they completed the repairs. Overall, PM Pools is a professional, well-run organization and I recommend them for anyone looking for repairs or general service. A decade plus of high quality and reliable service that is much appreciated. After our initial phone call, I have to tell you that my service has been more than stellar! I really appreciate the premium service and care that you are giving to us!! We look forward to a great pool season. Great service called and responded by sending tech within a few hours. Even contacted me afterwards via email to ask how service was and if I had any questions. Even recommended things we should be doing to prevent this from happening: highly recommend.